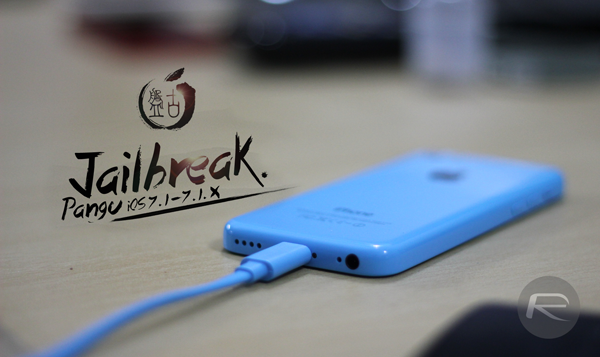 The Pangu jailbreak for iOS 7.1.x and up has proved a big hit among Cydia fans, successfully opening the door for the second time on iOS 7 after the initial heroics of the Evad3rs. Although the initial tool was a tad unrefined, the Pangu team has frequently updated the utility for a smoother, more secure jailbreak, and having recently rolled out Pangu 1.2.1 featuring bug fixes and AFC2, those already jailbroken can now reap the benefits of these enhancements directly from Cydia. The wondrous thing about Cydia tweaks is that they can get right into the depths of the iOS software, making fundamental changes and enhancing the very behavior of an iPhone, iPad or iPod touch. The App Store is full of great apps, many of them even life-changing, but they can only scratch the surface, and even though Apple does its utmost to halt the work of jailbreakers, the scene continues to thrive. Evad3rs, the team behind the Evasi0n jailbreak on iOS 7.0.x, really set the tone, releasing an untethered break very early on in the firmware’s life cycle. Pangu’s impromptu appearance a few months back was more of a pleasant bonus than a jailbreak we were expecting to see, but with iOS 8 now very much on the horizon, Cydia appears to be underpinned by a multitude of talent. Step 1: Fire up Cydia and tap on ‘Changes’. Step 2: You’ll see the aforementioned ‘Pangu 7.1-7.1.x Untether’ package under the list of available upgrades. Step 3: Tap on the package, hit ‘Modify’, and follow the steps to confirm the download. Step 4: Cydia will work its magic, and thereafter, all you’ll need to do is reboot your device. As updates go, this one is fairly essential, so follow the steps – which will take just a couple of minutes – and you’ll be fully up-to-date with the latest Pangu security fixes. Thanks, @iabgswmi for the hat tip! 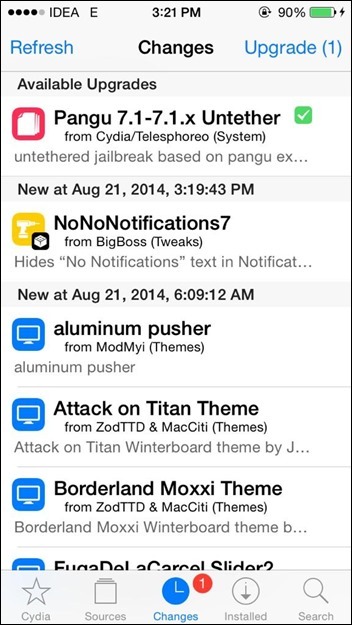 UPDATE x1: Due to some problem with Pangu package, it has been temporarily pulled from Cydia. We’ll let you know when it’s back again. “pangu security fixes” is an oxymoron.